Before starting, I want to share a comment from “Reader Ed” – which frankly, is one of the nicest compliments I’ve received in my career. 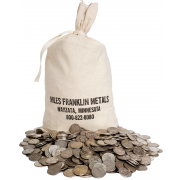 In my view, the Miles Franklin Blog is one of the best sources of information about the global economy, financial markets, and Precious Metals fundamentals around – in large part, because we focus on, plain and simple, on the unvarnished truth. Yes, the truth can set you free – which is why I take great pains to instill this concept into my three-year old daughter; and why, per the comment below, the entire world – and certainly the opaque Precious Metals community – would greatly benefit from more of it. Which, by the way, I am 1,000% confident will occur in the coming months and years. Again, per yesterday’s must hear Audioblog, we are not making “predictions” of financial market performance; even, for that matter, gold and silver over the “short-term.” Conversely, we simply aim to spread truth; which, hopefully, you will, too. The world is a very big place, with close to seven and a half billion denizens. That said, the Internets reach continues to grow exponentially; and thus, nearly everyone will soon have access to alternative views. And given the power of our particular message – of the inevitability of fiat currency depreciation, and real money appreciation, we have no doubt our work – and yours, if you help to spread it – will be fruitful. That said, let’s move on to today’s very important message. That is, after a brief discussion of today’s “horrible headlines” – which sadly, will worsen with each passing day, until the inevitable, and perhaps imminent, collapse of history’s largest, most destructive fiat Ponzi scheme. After which, life “as we have known it” will disappear; for a time, to be replaced with a far scarier existence – but eventually, a more stable, productive global economy, based on sound money. To that end, it is not the Miles Franklin’s Blog intent to guide, advise, or prepare you for such unknowns; but instead, to simply make you aware of what has always occurred to fiat currencies under such scenarios – and conversely, what has always been the demand response of real money. Meanwhile in Europe, Greece – and the entire European Union – edges closer to the abyss. In what has become a cross between the worst Greek comedy and tragedy, we’re now told Greece has until Monday to submit details of the ridiculous, ambiguous “reforms” that emerged from the February 20th funding deadline crisis; which, as it turns out, weren’t even written by the Greeks! Frankly, I don’t think anyone is even paying attention anymore – as no matter how much can-kicking is attempted, it is a mathematical certainty Greece will fail in the near future; and when it does, the resulting “Grexit” will be financially – and psychologically – devastating to the world’s second largest currency. But the scariest part of all is that it’s not just the “PIIGS” in imminent danger, but all of Europe; and for that matter, the entire world, given the ubiquitous financial ties in place. That said, Europe is clearly the epicenter – which is why yesterday’s news that France plans to unveil a broad swath of currency controls is so terrifying – like the limitation and surveillance of nearly all cash transactions, and the required reporting of gold transportation throughout France. Yes, my European friends, we could not be more urgent regarding just how small your window of opportunity to protect financial assets has become – and when the Euro does inevitably collapse, that window will likely be permanently closed. Here in the United States of Collapse, this morning’s horrifying February durable goods orders number (-1.4% versus expectations of +0.7%) continues a relentless stream of “2008-like” data, completely invalidating the fraudulent “PMI Manufacturing” diffusion index figure I railed about yesterday. I mean geez, what part of the biggest annual plunge in global trade volume since mid-2011’s Global Meltdown II do people not understand? Or, for that matter, yesterday afternoon’s American Petroleum Institute data, revealing the largest inventory build in 34 years? Or heck, the pathetic “benefit” of $11 trillion of global economy on the dying U.S. economic empire – which trust us, would look far uglier if real, “apples to apples” accounting was utilized. Consequently, the 10-year Treasury yield is trading – as I write Wednesday morning – at a paltry 1.86%, compared to 2.26% in the moments following last month’s historically fraudulent NFP employment report. For the millionth time, as I wrote in last year’s “most damning proof of QE failure,” Treasury rates are plunging because the entire world is front-running the inevitable launch of QE4 – which frankly, would not surprise me if it occurs this year. Nor would it surprise Whirlybird Janet herself, how last month delivered the “most unequivocally dovish FOMC statement in memory” to Congress. And now, for today’s principal topic; i.e., the “worst precious metal sentiment in two decades.” That said, let’s start by saying “sentiment” is a very ambiguous concept; and thus, constantly miscalculated, misinterpreted, and misunderstood. Let alone, by newsletter writers seeking to generate trading activity, by insisting it can be quantitatively harnessed. Which, by the way, is particularly dangerous in the Precious Metals sector, given how it is the most manipulated (read: suppressed) on the planet, with “Cartel traders” well aware of everything from sentiment readings to technical resistance and support levels. 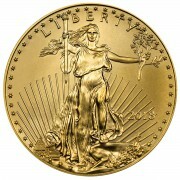 However, the physical gold and silver markets are entirely different animals, for a variety of reasons. To start, nearly all buyers – of physical metal, not “paper PM investments” like mining shares, ETFs, and closed-end funds – do so for the right reasons; i.e, long-term protection against and fiat currency inflation, and insurance against political, economic, and market calamity. 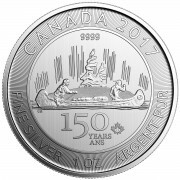 Secondly, the time, effort, and cost of selling gold and silver is a considerable deterrent; i.e., the polar opposite of owning, for example, GLD or CEF, in which one click of the mouse, and you’re divested. 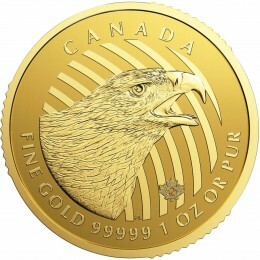 And finally, as pertains to the current situation, never have the fundamentals for Precious Metals ownership – both monetary and economic – been so powerful; let alone, with prices trading below the miners’ respective costs of production, making it that much more difficult to pull the trigger on a sell order. That said, this is unquestionably the most terrified I have seen the Precious Metals community since entering it 13 years ago; as is the case with Miles Franklin, which has been in the Precious Metals business for two decades. The reason, of course, is the relentless Cartel attacks that, while ongoing since the PM bull commenced at the turn of the century, accelerated exponentially when TPTB went “all in” to market manipulation in mid-2011, and berserk following the infamous April 2013 “closed door” meeting between Obama and the “TBTF” bank CEOs (just one day before the hideous “alternative currency destruction” raids). Things have gotten so bad, we have now witnessed psychology-destroying “Sunday Night Sentiment” raids on 91 of the last 92 weeks; “2:15 AM” EST raids on 405 of the past 464 trading days; “Sixth Sigma” declines in thin aftermarket trading; and of course, unconscionably blatant silver waterfall declines. And this, amidst some of the most violently positive PM headlines of our lifetimes. Consequently, Miles Franklin is actually seeing the first material selling activity since going into business in 1989. Not that the total volumes are particularly large – or that such supply has a material impact on prices (likely, it’s already in China). However, we have not seen material selling activity since the PM bull market commenced nearly two decades ago; and again, this is occurring amidst the most bullish PM news flow of our lifetimes – much less, with prices so low, the mining industry is on the verge of collapse! Obviously, Americans have become so frustrated – and jaded to the expectation of new Cartel attacks – that seemingly no news prompts them to action. And clearly, since people like myself are already fully invested, the U.S. market requires new buying leadership to restart it. Of course, this is hardly the case overseas, where plunging currencies have caused gold prices to surge in foreign currencies. However, to secular Americans, such reality isn’t even on their radar screen yet. Consequently, the charlatans financial opportunists characterized as “deflationists” are having their 15 minutes of fame, making ridiculous predictions like sub-$1,000 gold and sub-$13 silver, in the hopes of generating readership and trade commissions. Remember, not only is “deflation” a myth in fiat currency regimes (how’s your cost of living doing? ), but even if it were real (other than gasoline prices, which constitute a very small, albeit high profile, portion of one’s budget), Precious Metals have always been the best performing asset class during such periods. Let alone, when prices have already been pushed well below the industry’s cost of sustainability; and for the majority of mines, the actual variable cost of production. As they say, “buy low and sell high.” And if today’s historically low prices – relative to worldwide fiat currency outstanding; mining economics; and political, economic, financial, and monetary uncertainty – can’t convince you today’s prices are “extremely oversold,” I don’t know what will. And, as always, if you do decide the time is now to protect your assets with the only real money the world has ever known, we hope you’ll call Miles Franklin at 800-822-8080,and “give us a chance” to earn your business. Folks, while we still have our last vestiges of freedom remaining, tattered as they are, wake up, rise up and stand united. As the saying goes, If not me, who? And if not now, when? What in the world is the point of that? In that situation, why would be the advantage of owning gold? The key is to prepare for such inevitabilities NOW, before such rules are imposed here! I don’t think “california woman” realizes that this whole scenario is a war about control of who, what, how, why, where, and when ANYTHING can be done. If you don’t have something which is readily exchangeable for what you need/desire (hint: probably not made of paper or electrical impulses), then someone else will decide for you- perhaps even whether you live or die. It’s so basic that it’s easy to miss. Guarantee they’re not missing it in France right now! Andy, Thank you again. As ever you’re a star on top form with this one. Your Herculean efforts are greatly appreciated and invaluable support. Thanks also to Bling, I’ve lived that C S Lewis quote for the eight years I’ve been a PM bug. That pain is a blight on my life, the ridicule of friends and family is no fun, and lonely courage is essential to protect your loved ones. “I told you so” must remain unsaid for our security and will be no consolation, when TSHTF. From the UK. ON THE FLOOR CRYING MY EYE OUT!! WE GOT NO CHANCE, DAMN IT! MANIPULATORS HAVE ALL THE CARDS!!! Andy, great summary as always. One has to wonder if the people selling back their precious metals to MF at these prices have ever bothered to read the daily pieces by you and Bill. How anyone can throw in the towel on PMs with everything that is happening abroad and here in the US is just beyond comprehension. I can’t think of a more catastrophic financial move than to sell your precious metals and then plow that money into the stock market or even just putting it in the bank. How dense do you have to be to not see how totally insane that is? Human nature is to buy low and sell high. That said, people also need cash for many things – particularly in a REAL economy that’s collapsing. I think people are throwing in the towel because gold does not perform well in a low growth, deflationary world. Gold needs the threat of hyperinflation (2010 – 2012) to outperform. So investment demand is down. Sure there may be alternative currency demand though that will not drive price. Dollar collapse is the only rational for holding gold in a deflationary environment and that is extremely unlikely, especially given the global economic backdrop. So gold at $1100 – $1300 for a long time. Ridiculous! Gold is PROVEN to perform best in such conditions! What do you think was the only asset class up in 2008 – and this despite massive Cartel suppression? Or 2011? Or the 1930s, for that matter?